From the high country of Yellowstone National Park to its confluence with the Missouri River, the Gallatin River appeases anglers, rafters, and adrenalin seekers alike with its parade of quiet stretches, raging rapids, and great trout fishing. 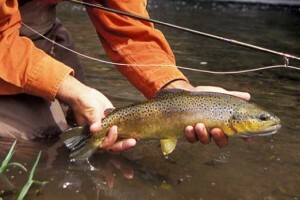 In and around Bozeman, we guide over 40 miles of this productive trout river. Our guides are courteous, professional, fun and experienced. You will love the trip. Our shop, just a mile from the Gallatin, is central to the Yellowstone, Gallatin and Madison Rivers, plus small streams and spring creeks. Everything you need to fly fish. Creating custom angling adventures for novices to experts who want to unleash the secrets of Gallatin River rainbows and browns. Our photo gallery speaks for itself! 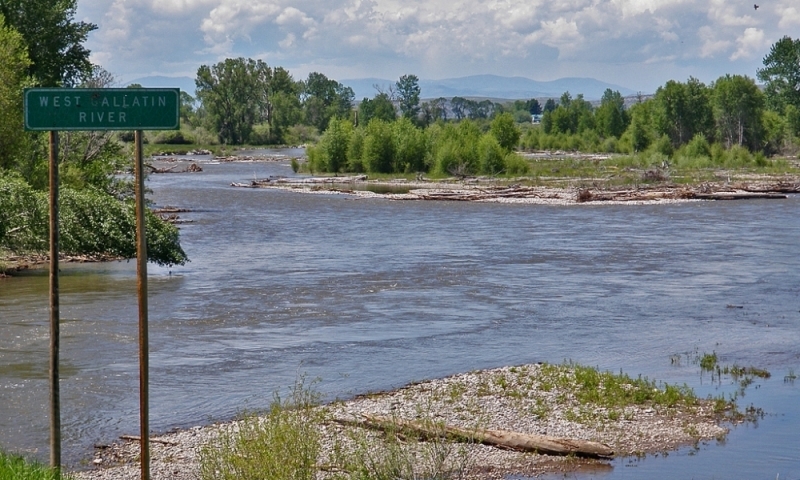 Looking for an on-the-river rental home near Bozeman? Our Riverbend home sleeps 6 in 3-bdrms, has outdoor hot tub and riverfront access. Come enjoy Bozeman. New in 2016, we offer lower-priced, entry-level gear for the newbie who wants to start fly fishing. Fully-stocked fly tying area, lots of expertise to share. Feast your eyes on 360º of the Rockies from our guest house near the Gallatin River. 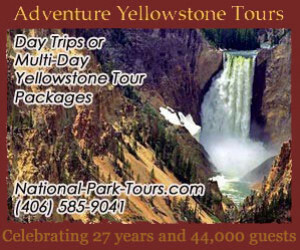 75 min's to Yellowstone, 5 mins to Bozeman dining & family fun. Gallatin River MT delivers epic whitewater rapids, bountiful areas for fishing, and breathtaking scenery ideal for camping or sightseeing. Considered by many local anglers to be one of the best rivers for wade-in fishing. When the mountain snow melts, the Gallatin River boasts a class IV section called the "mad mile." Originating from Gallatin Lake in Yellowstone National Park, the Gallatin River travels 120 miles through pristine wilderness area, mountain canyons, and high alpine meadows before it joins the Missouri River in Three Forks, Montana. The Gallatin River caters to the outdoor enthusiast's appetite by delivering epic whitewater rapids, bountiful areas for fishing, and breathtaking scenery ideal for camping or sightseeing. The movie "A River Runs Through It" references the Gallatin River, one of the most prized rivers in Montana trout country, for some of its best fishing scenes. Considered by many local anglers to be one of the best rivers for wade fishing, access to the Gallatin River is plentiful along Highway 191 between West Yellowstone and the Gallatin Gateway. In these sections, anglers can expect to see action from cutthroat and rainbow trout in the cold mountain waters. Anglers wait eagerly for blue-winged olive mayflies and numerous caddis hatches in April and May, signaling the return of optimum trout fishing. The large, colorful salmonfly moves upstream with its biggest appearance usually in late-June and early July. Fly fishing continues successfully until late August with Caddis hatches, terrestrial insects (flying ants and hoppers) and year-round midge populations. 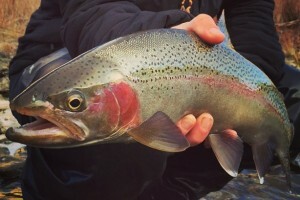 Rainbow and brown trout average 12-17" throughout the Gallatin River system. September through November brings a major hatching period of hoppers and trout feed hungrily on them as well as beetles and ants along Gallatin River banks. The crowds thin out and it's just you, the fish, and the beautiful Gallatin River. 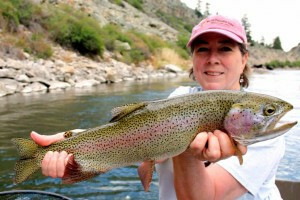 Have a guide take you to the best fishing areas with a local guided fly fishing trip. One of the primo whitewater runs in the Yellowstone-Teton area, the Gallatin River makes for an intense rafting trip. In June, when the mountain snow melts, the Gallatin River boasts a class IV section called the "mad mile." This stretch offers a mile long stretch of challenging whitewater guaranteed to wet your whistle. Get on board with a guided rafting trip and see what the fun is all about! There are plenty of seasonal camping sites available that overlook the Gallatin River. Nestle yourself in the shade of pine trees and watch as rafting parties pass by your campground. Experience the river where the now-classic movie, "A River Runs Through It" was filmed. Keep your eyes peeled for wildlife! The Gallatin River Montana is home to bighorn sheep, black bears, elk, wolves, coyotes, fox, and bald eagles. 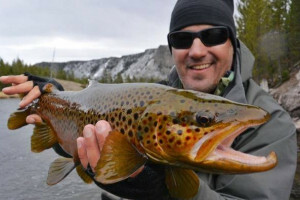 Angler information for the Gallatin River.